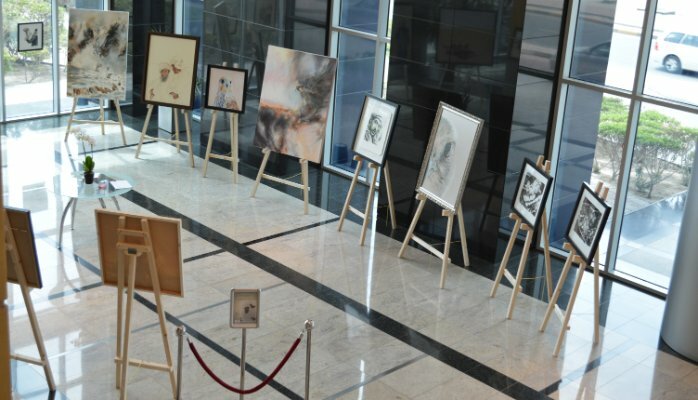 MANAMA, Bahrain, August 9, 2018 – A unique melding of words and art is the subject of the Bahrain Writers’ Circle’s (BWC) first exhibition “Confluence – Where Words and Images Meet” to be held from September 16 to 20, 2018 at Harbour Gate, Bahrain Financial Harbour. Eighteen teams of writers and artists have come together to create around 30 works of art either inspired by words or art that has inspired words. The Harbour Gate property, in its quest to support the arts, is hosting the exhibition in its central concourse on the second floor between the Harbour Towers-East & West. “We are truly grateful for the offer of this prestigious space and all the support that the Harbour Gate team has provided us,” says Rohini Sunderam, Director and Founding Member of the Bahrain Writers’ Circle (BWC). She adds that she is also indebted to Akram Miknas, for sponsoring the exhibition brochure and inaugurating the event. The exhibition is located on the 2nd floor at Harbour Gate within the Bahrain Financial Harbour Masterplan. It is open from 11 am until 8 pm from September 16 to 20, 2018 and admission is free. The Bahrain Writers’ Circle (BWC) is a volunteer group established in 2011 by Robin Barratt - best-selling author of true crime. It welcomes writers at all stages of their writing lives and aims to create an encouraging environment in which to nurture creativity, improve the craft of writing, and provide an opportunity to network with other writers. The BWC has two sub-groups, The Second Circle – a poetry group and the Creative Writers’ Workshops – which explores the craft of writing. A monthly meeting on the business of writing and publishing takes place on the second Monday of every month. The BWC is now probably the biggest group of international and local writers in Bahrain. For more information, membership inquiries and details of meetings visit www.bahrainwriterscircle.net. 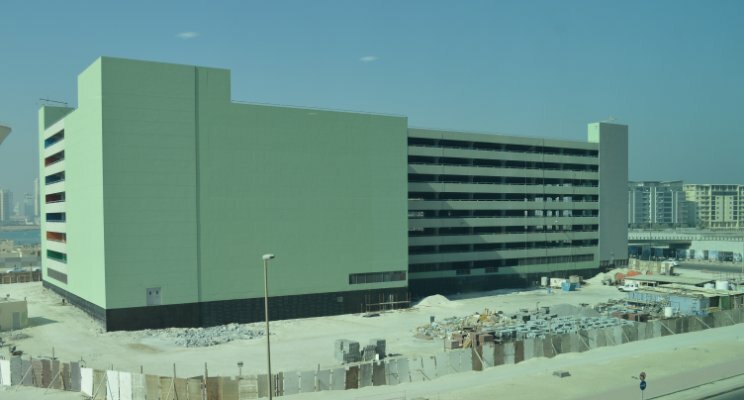 Its only weeks away to to the handover for this new car park development. Bra.. 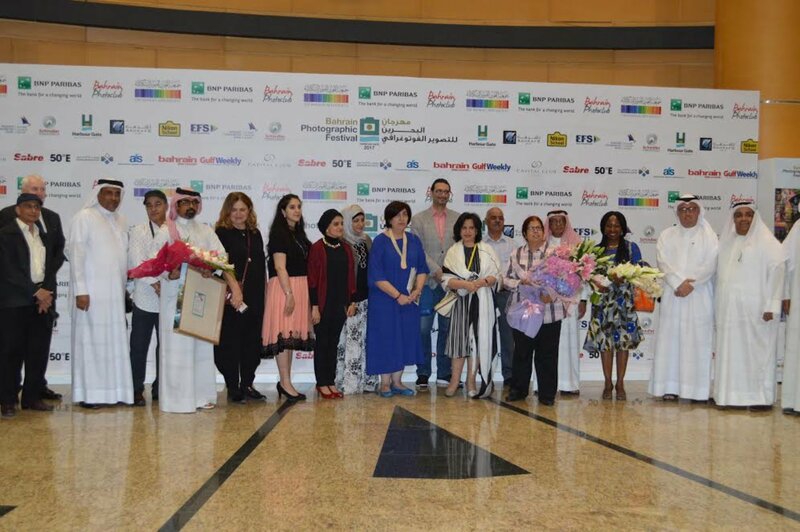 The 2017 Bahrain Photographic Festival was opened by H. E. Sheikha Mai bint Moha..